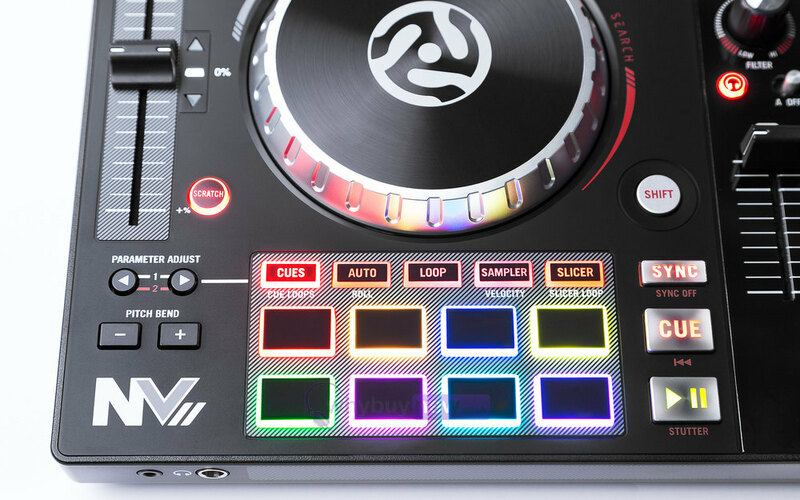 The NV II is an intelligent dual-display DJ controller for Serato DJ which features an upgraded layout from the original NV with clear markings for fast and responsive operation. 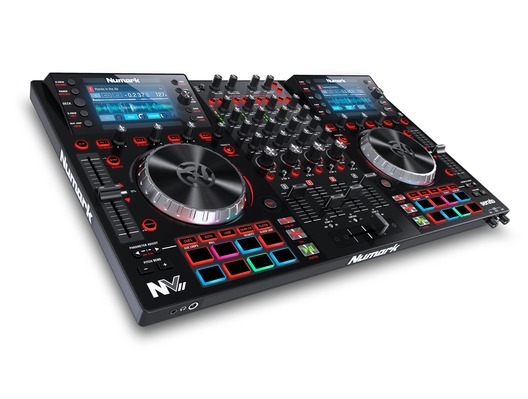 The NV II is great for gigging DJs with four decks, USB 2.0 connectivity and XLR, RCA outputs. 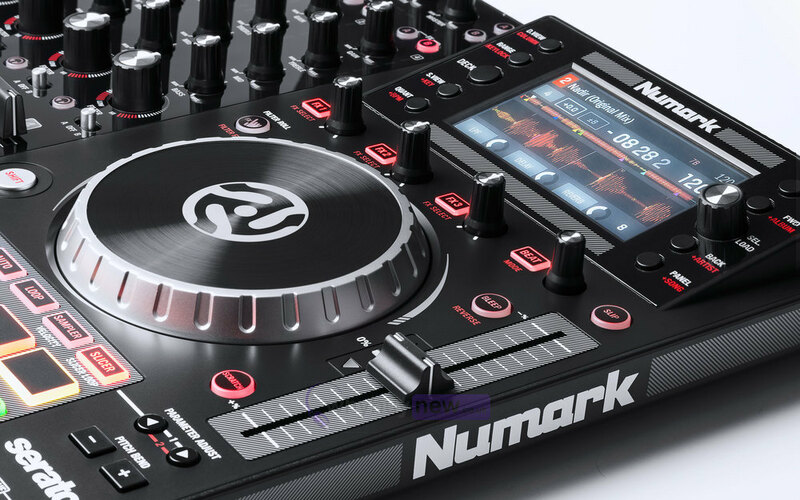 Show off your DJ skills with the Numark NV II professional DJ controller for Serato DJ which not only looks great with its red and black design but performs well too. 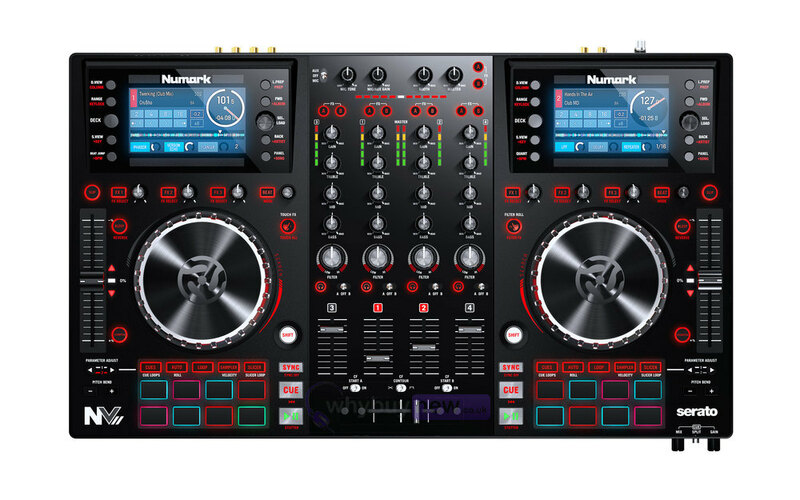 With two 4.3-inch full-colour screens which provides 1:1 real-time visualisation of Serato DJ. 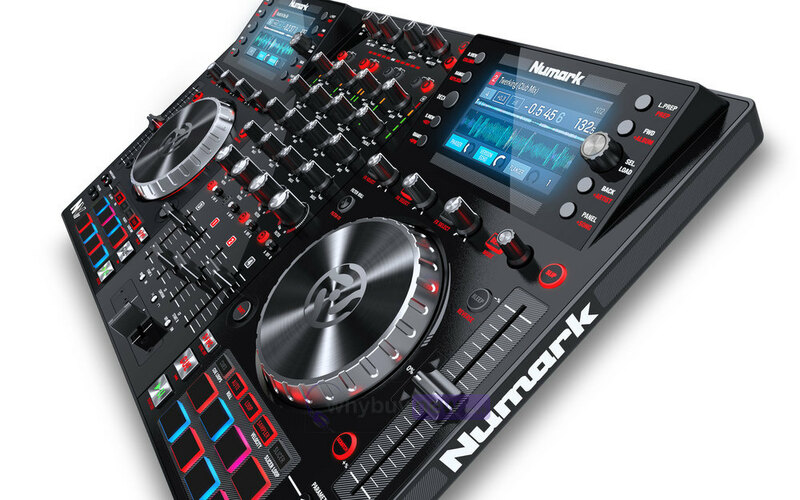 With its multiple outputs, including XLR outs, the NV II is ideal for club use and DJs out on the road. You can feel the music through the adaptive 5-inch touch-activated platters. The NV II comes equipped with touch-capacitive EQ and filters to dynamically carve out the groove with drop/boost, available at your fingertips. The highly-advanced touch-adaptive jog wheels adjust to your style and feel while manipulating your mix on the fly. Whether you scratch in your favourite cuts or nubb in perfect transitions blends, the platters are an extension of your personality and style. What's the big deal about the touch capacitive EQ, FX and filter knobs? You have free range to carve out a custom sonic mix by just tapping the EQ/FX knob and adding a simple twist. Think of it as your stylus on a touch screen, where you can control every curve of your musical art, creating the perfect mix. 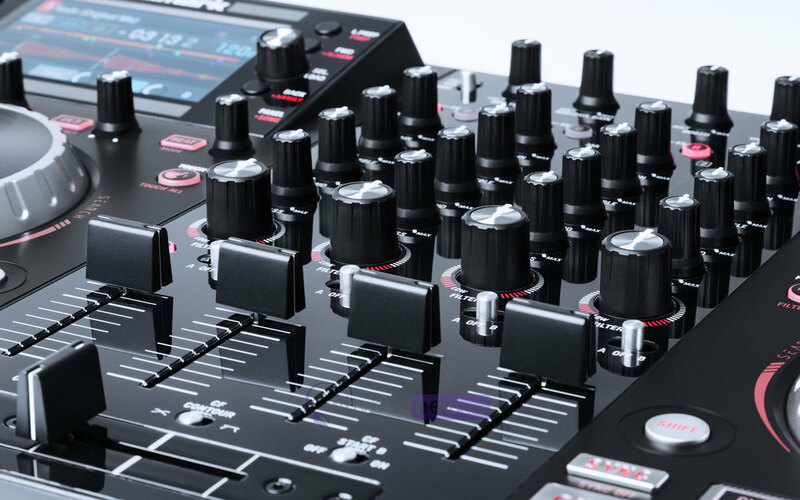 With the touch-capacitive knobs you can literally feel your mix. 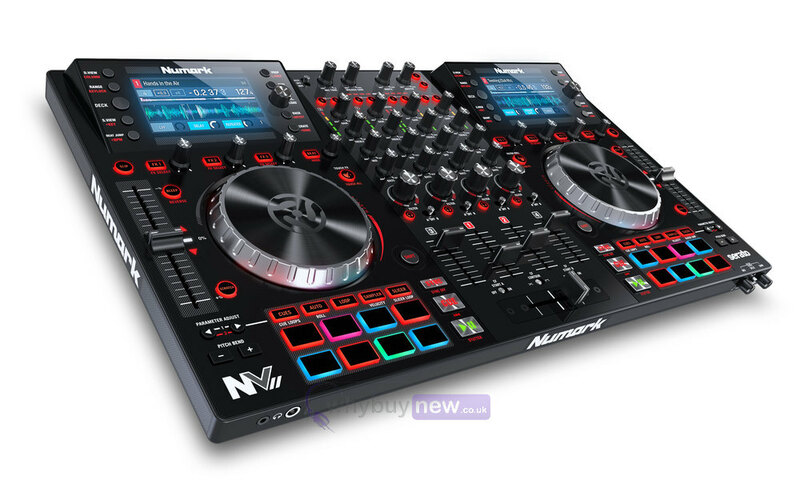 Here we have the Numark NV II in brand new condition and in B-Stock. The B-Stock versions would have been on display at a training evening or trade exhibition only and will come boxed 'as new' with all accessories and a 1-year warranty. Please note that the software is a free download.